The lawyers involved did not take the case to trial so it is unclear, at least in this case, how far is too far under Colorado’s anti-cyberbulling / harassment laws. Understanding when the line is crossed the defines the difference between the Colorado crime of harassment and what should be protected speech under the First Amendment is one of the more confusing areas of law in out country…as the line seems to be constantly moving. The two young men involved in this case pled guilty to harassment for filling a Facebook page with photos, insults and threats directed at another young person from their high school. The actual words used or photos publised are not publicly available. When Facebook was contacted by the authorities they immediately removed the offending page. 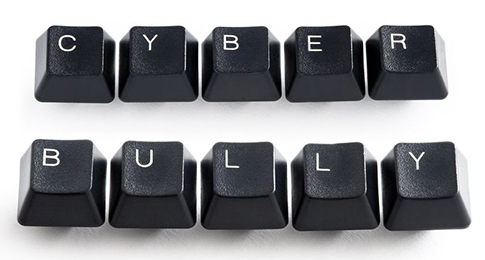 The impact of real “cyber-bullying” is serious of course as it is believed that this electronic form of harassment can easily escalate into violence or result in repeated events of other kinds of victimization. However, young people hurting each other is not a new story. What is new is using electronic media to accomplish this result and having criminal charges filed as punishment for the act. But bullying – even cyber-bullying – while condemnable on a moral basis – is not necessarily a crime unless the speech involved crosses the line..begging the question of course – where is that “line” drawn? Middle and high school provides multiple opportunities for young people to hurt each other verbally. While criticism on Facebook may hurt the feelings of another, the attack, under Colorado law must be performed in a manner intended to harass or threaten bodily injury or property damage. What is confusing is the use of the term “harass” in subsection 18-9-111(1)(e) – a subsection intended to define the crime of cyberbullying which uses the very term it is trying to define. The Colorado Supreme Court has said that the requirement that a person act with specific intent to committ the crime of harassment “overcomes” the what may at first glance appear to be a vague or indefinite statute. In 1985, the Colorado Supreme Court struck down subsection 1(d) of 18-9-111 because it found that section to be unconstitutionally vague providing “no limiting standards to assist citizens, courts, judges or police personnel to define what conduct is prohibited and, conversely, what conduct is permitted.” It no longer appears in the law. Applying this analysis in the defense of Colorado cyber-bullying cases, the Colorado criminal defense lawyer might properly focus on whether a prosecution of the speech in question – whether it be on Facebook, Twitter, or Instagram – is unconstitutional – in violation of the First and Fourteenth Amendments to the United States Constitution and article II, section 10, of the Colorado Constitution. In the watershed and famous case taught in first year law school classes – Chaplinsky v. New Hampshire, 315 U.S. 568, 62 S.Ct. 766, 86 L.Ed. 1031, the Supreme Court set forth the kind of speech and speech-related activity that a state could–consistent with the First Amendment–make criminal. If the speech in question is intended to punish “unprotected activity” such as threats of bodily injury or against property it cannot also punish activity protected under the First Amendment. Speech may often be provocative and challenging, and it may be laced with epithets and prejudice and immoral to its core, but it should NOT BE criminalized unless it crosses a line that is clearly drawn under the law. Otherwise, the idea of the First Amendment would be nothing more than a sham.